Correcaminos de Colon earned the LPB title. They edged Caballos in the Final to clinch the trophy. Trevor Gaskins (188-PG-89, college: Louisiana Tech, agency: Pro Sports) was pivotal with 22 points for the champions. Correcaminos set the tone early in the game. They went on a 28:13 run in the opening term to clear off. Caballos pulled as close as three points heading into the fourth stanza. 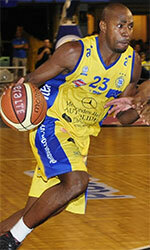 But Correcaminos used a 21:20 run in the final period to ice the victory. Tyler Gaskins (193-F-92, college: St.Peter's) added 14 points, while Ramos contributed 15 points for the champions. CJ Rodriguez (188-PG-94, college: S.Nazarene) responded with 17 points for Caballos. 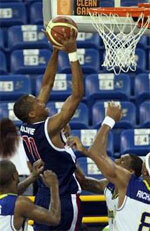 Joan Luis Haiti (201-C-82, agency: Pro Sports) chipped in 14 points in the defeat.